Honda has the compact SUV class capably covered with its CR-V, and its Pilot SUV is a solid competitor in the three-row midsize SUV category. However, two-row, five-passenger SUVs are also a very popular market segment, and Honda didn’t have a product offering there to compete directly against rivals such as the Ford Edge and the just-redesigned Hyundai Santa Fe. That changes with the introduction of the 2019 Honda Passport, which is being unveiled at the 2018 Los Angeles Auto Show. Honda’s path to the Passport was an expedient one: The new SUV is essentially a shortened version of its three-row Pilot. 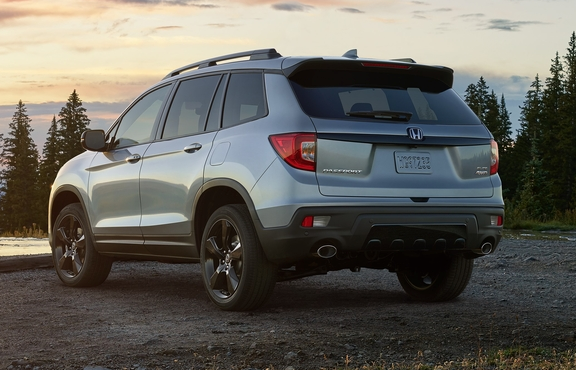 As such, the Passport shares its basic unibody construction and its standard 280-hp, 3.5-liter V6 with both the Pilot and Honda’s Ridgeline 4-door pickup. We’ve been impressed with the on-road handling characteristics of both the Pilot and the Ridgeline, and we expect those positive traits to carry over to the new Passport. 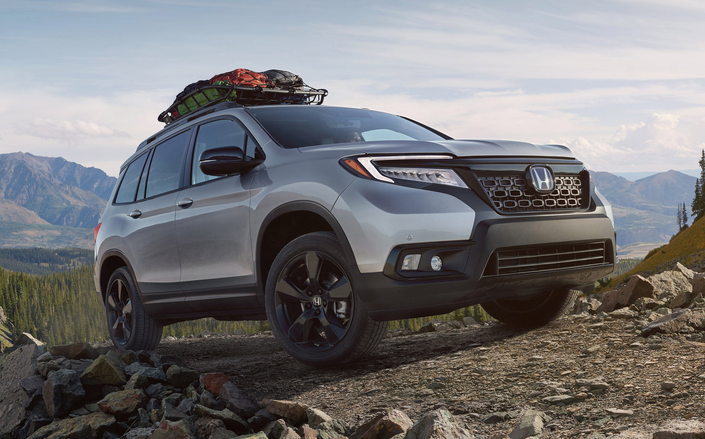 The Passport has a more overtly rugged, off-road-ready look than any of Honda’s recent SUVs, thanks in part to blacked-out body trim and wheels, and a slightly raised ride height compared to the Pilot. Plus, the shorter overall length and shorter rear overhang allow for better approach and departure angles when traversing challenging off-road terrain. Honda is also mixing a bit more opportunity for personalization into the Passport formula by offering both Adventure and Urban accessory packages. 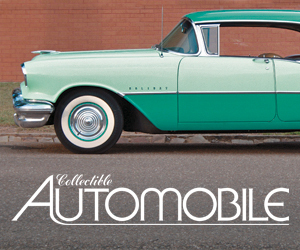 The former includes add-ons such as running boards, a trailer hitch, and fender flares; the latter includes “street-appearance” touches such as front and rear underbody spoilers, unique 20-inch wheels, and roof rails. Stand-alone Honda Genuine Accessories such as roof boxes, a roof basket, and roof-mounted adventure-gear racks (for bikes, kayaks, etc.) will be offered as well. Honda says the Passport is capable of towing 3500 pounds in front-drive form, and 5000 pounds in all-wheel-drive form when equipped with the optional towing package. Cargo volume is 41.2 cubic feet behind the second-row seats, and 77.9 cubic feet with the second-row seat backs folded (the Pilot’s respective cargo-volume measurements are 46.8 and 83.9). Trim levels and standard/optional equipment hew fairly closely to the features offered in the Ridgeline and Pilot, and include the Honda Sensing suite of safety features as standard equipment. When we first heard reports that Honda was developing a new five-passenger midsize SUV, we were expecting something a bit more involved than a shortened, mildly revamped Pilot, but we can’t argue with Honda’s logic… or its decision to position the new Passport as a beefier, more adventure-ready machine than most Honda SUVs. Honda’s 3.5-liter V6 should feel especially gutsy here, and we’ll be curious to see how the Passport’s fuel economy compares to the Pilot’s. We won’t have to wait long to find out how the Honda Passport drives… the vehicle is slated to go on sale in early 2019, and we’ll have our First Spin review (based on our press-preview test-drive experience) published in late January. 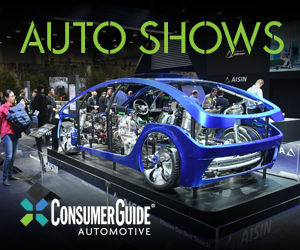 Check back then for our full drive report and, hopefully, pricing and fuel-economy numbers. Written by: Damon Bell on November 28, 2018.on March 22, 2019.